Brothers and Sisters, here are the four songs we will be singing in worship on Sunday, along with a brief note about each one. The overall impression is an OT precursor to Hebrews 1:3 where we are told that Jesus upholds all things by the word of power. The universe runs on the Word of God. He tells all things when to be born, what to do, where to go, and when to die. He tells the seas when to overflow their banks and when they have gone too far. He tells the animals to give birth. He tears down. He builds up. The Psalm emphasizes God’s power over the world and all the natural forces in it. King David ends by reminding us that God sat on his throne even during the Flood. Psalm 29:10 is only use of this word outside of Genesis 6-11. So what should be our response to God’s voice governing all things, even something as mighty and terrible as the Flood? We are to give him glory. In verses 1-2 the “mighty ones” are called upon to give God glory. In verse 9, all who are in temple declare “glory.” And so too must we. As we consider God’s greatness and power we are to offer him praise and glory. This is one of classic hymns from the pen of Isaac Watts. For over 300 years men have sung it. The truths it contains are just as glorious as they were in 1707. There are two key themes in this hymn. First, when we survey, that is look at, the cross we are humbled. The longer we stare at Christ, the deeper we look into his work on the cross, the more we consider how unworthy we are of his sacrifice, the more we ponder how little we have to offer, the more humble become. We stop boasting in ourselves and we start boasting in Christ. We “pour contempt” on all our pride. Second, because of God’s great love for us seen in the cross, we abandon all to follow Christ. Watts casts aside “all the vain things” to follow Christ. He ends the hymn by saying that Christ’s great sacrifice “demands my soul, my life, my all.” When we look at Christ and His work we do not become lazy in our spiritual walk. The cross is the fire which keeps us pushing forward. If you find that your walk with Christ is lacking zeal maybe you need to go back to the basics. Read something or better yet sing something about Christ’s amazing love. Unlike our previous song, most Christians have never heard of this hymn by Martin Luther. That is a shame. It is a rich prayer offered to Father, Son, and Spirit to defend and keep the Church. Typical of Luther it is a battle hymn. In the first verse he says that forces of darkness want to destroy us by “craft and sword,” “wrest the kingdom” from Christ, and “set at naught all he has done.” Luther understood the forces that are arrayed against the Church. He knew there were spiritual forces working through physical forces to undermine, deceive, sidetrack, and ultimately destroy God’s people. What was his answer to all this? Prayer and the word. He prays that God would help us stay tethered to God’s Word. He prays that Christ would make his power known. He prays that the Comforter, the Holy Spirit, would send peace and unity and give us strength as we prepare to die. We are no different from Luther. We are beset on every side by principalities and powers. 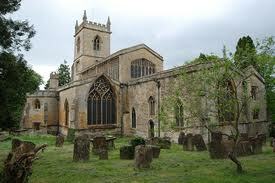 There are men who want to tear the Church down stone by stone. When we take this prayer of Luther upon our lips we asking Christ to keep His Word, that the gates of Hell will not prevail against us. Our final song is one that we know and love. Psalm 1 stands like a gatekeeper as we prepare to enter the sacred ground of the Psalter. It is a wisdom Psalm that explains the path of blessing and the path of destruction. According to Psalm 1, there are two things the man who wants to be blessed will do. First, he will avoid entering into fellowship with wicked men. He does not listen their counsel. He does not walk in their ways. He does not spend hours in their company. Second, instead of drinking from the well of wicked men, he drinks from the well of God’s law. God’s law brings him joy and delight. He thinks about God’s Word constantly. He considers how his life should change based on God’s Word. He does not listen to the world and its counsel. But instead he patiently and thoughtfully allows God’s Word to shape his thoughts, words, and deeds. A man who does this will be well-watered. His tree will be strong and mighty. He will bear fruit in God’s time. He is blessed by the Lord in all that he does. The question this Psalm puts before us is, “Who is influencing us more: the men of this world or Word of God?” Do we want God’s blessing, but do not want to cut off love of the world? Do we try to live with one foot in the world and one foot in the Word? Brothers and Sisters, here are the songs we will be singing this coming Lord’s Day. Just a reminder we sing four songs outside of our service music (Doxology, etc.) and the Lord’s Supper. I have included links to various people singing the hymns. Sorry about the icon on the first link. The same event can call us to different responses. Christmas is one of those events. Christmas is about joy. There should be presents and trees and parties and gifts. There should many good things that we do at this time of year just to remind us that Christ came to save. There should be celebrations and joy that reflect the wonder and delight of the season. But Christmas also provokes silence as we stand amazed at the mystery of a God who would descend to dwell with us. And not just dwell with us, but come to die and deliver us. Our entrance hymn this week provokes this second mood. It tells us to be silent and stand with fear. It also reminds us that Christ came to bless us. It is hard to imagine that just a few years ago I did not even know this song. Now it has become part of my Christmas memory. There are so many great truths in this hymn, but my favorite line is “As the Light of light descendeth from the realms of endless day/that the powers of hell may vanish, As the darkness clears away.” Christmas is not about defeat. Christmas is about victory. Christ came to destroy death, sin, and the devil. Here is why celebration is not just a good thing to do at Christmas. It is absolutely necessary. Without joy and celebration Christmas has been emptied of its meaning. So despite its somber tone the hymn still leads us to rejoicing. The song we sing after the confession of sin can go two directions. It can look forward to a Christian life that has been cleansed of sin focusing on joyful obedience. Or the song can look back to the sacrifice that Christ made on the cross so our sins could be taken away. This old, famous hymn does the second. The tone is somber, but fitting as we think about Christ’s death. This hymn reminds us of the horrors of Christ’s sacrifice. He was holy, yet God laid on him the iniquity of us all. That sacred head worn no crown of gold, but a crown of thorns as he was crucified. The line that I enjoy the most is “Mine, mine was the transgression/but thine the deadly pain. Lo here I fall my Savior/Tis I deserve thy place.” There is a wonderful truth expressed in these lines. We deserved the cross, but Christ was our substitute. This hymn ends where all our meditations on the cross should end; thanksgiving. “What language shall I borrow to thank Thee dearest Friend.” The cross is not simply something to study. It is something to glory in and give thanks for. The song also reminds us that Christmas was just the beginning. Should we think about the cross during Christmas season? Yes, a hundred yeses. The manger was just the one chapter in the story of our great salvation. A story that goes through the cross, but does not end there. Be Thou My Vision call us to wholehearted devotion to God. The author wants God to consume his vision, his thoughts. He wants the Lord to be everything to him. For this man the presence of God is valued above all else. Much like King David, he knows that God with us trumps everything else (Psalm 84:4, 10). The author also realizes that money can draw us away from the Lord. Riches can slowly sap our desire for God. So he prays that he will not give heed to riches. The praise of man can also cause us to abandon God. Our longing for flattery can replace our longing for the Lord. The author asks the Lord to keep him from giving heed to man’s empty praises. In the last verse there is a hint at what else can draw us away from God. The author says “whatever befall, still be my vision.” To paraphrase: No matter what happens good or bad, painful or comforting, pleasant or sad, help me to cling to you Lord. This world is filled with things, experiences, people, that would draw us away from our Lord. But the greatest danger lies within us. Our hearts are prone to wander. If God is our vision then the allure of the world and all its treasures will diminish. This is a great hymn. But it is also a prayer. Perhaps here is the greatest truth of this hymn. If we want God to be our vision, our treasure, our Father, then we need to cry out to him for aid. Our own efforts, unless they are supported by His Spirit, will fail. We love singing this Psalm. It is a delight to sing and hear the different parts. This Lord’s Day we sing this just before I preach. It is a perfect hymn for this slot. As I am sure you know Psalm 119 is all about God’s Word. The Holy Spirit decided that the longest chapter in Scripture would be devoted to the many glories of God’s Word. Singing this Psalm before we settle in to hear the Word is a perfect combination of three key elements in worship; singing, the Word, and prayer. We sing a prayer about God’s Word. It is tough to beat that. The Psalm uses several different words to describe the Scriptures. Here they are in the order they appear:Word, Promise, Statutes, Word, Commands, Precepts, Holy Law, Ordinances, and Commands. A tone of joy over God’s word pervades the Psalm. Since God teaches David his word, he sings God’s praises (vs. 2). David goes on to make sure his tongue is singing the praises of God’s word (vs. 2). He rejoices in God’s holy law (vs. 3). When God’s ordinances help him he praises the Lord (vs. 4). There is no more striking aspect of Psalm 119 than the delight David has in God’s Word. We might study God’s Word, talk about God’s Word, debate about God’s Word, but I think most of would be embarrassed by David’s kid like joy in God’s Word, including the Old Testament law. Finally, the last two lines remind us that God’s Word brings us back when we have strayed. I had a friend once who was having doubts about the Christian faith. He was reading philosophers, theologians, blogs, magazines, and sermons all trying to get a grasp on what was true. I told him, why not read the Bible. A man who refuses to search the Scriptures to see his own sins is a man who is not truly interested in returning to God. Psalm 119 is personal. The personal pronoun “I” is used over 100 times in the Psalm. For David the Scriptures are for him. They encourage him, teach him, draw him to God, and rebuke him. Do you read for you? Or do you read for others? Bonus Song: Psalm 98 (O Sing a New Song to the Lord). We are not singing this, but it is still wonderful to listen to. Here are some brief notes on the songs we will be singing this Lord’s Day at Christ Church. Just a reminder we sing four hymns outside of the Lord’s Supper: an entrance hymn, one song after the confession of sin, and two songs prior to the sermon. This is a great song to enter into worship with. First, it has a wonderful tune. The opening song should have some pep to it. This one does. Second, it is about thanksgiving. The very first line of the song indicates David’s purpose for writing the psalm. He wants to give thanks to God for his truth and grace. Whenever we enter God’s house we should be ready to give him thanks and praise. Third, there is an emphasis on God’s Word. King David gives praise to God for magnifying his faithful word. Then he declares that all the kings of earth will give thanks and sing when they have heard God’s Word. Like David we enter into God’s house to hear his word and give thanks to God for the Scriptures. Finally, David says that God “knoweth” the proud and haughty only from afar. As we enter worship, humility is needed. We come to bend the knee to God’s Word and His will. The proud are cast down in worship, but the humble repent and grow. Next Sunday is the first Sunday of Advent. During Advent we look back to the time before Christ was born, but we also look forward to the time when he will come again. It is a season of waiting. This hymn reflects that longing for Christ that was in the heart of every true Israelite before Jesus came and should be in our hearts too as we look for the coming of our Lord. One cool part of this song is how each verse begins with an Old Testament name of Jesus. Emmanuel means “God with Us” and is used in Isaiah 7:14 and quoted in Matthew 1:23. Lord of Might is a paraphrase of one of Isaiah’s favorite names of God “Lord of Hosts.” This phrase is used 50 times in Isaiah. It means Lord of armies and refers to God’s power and might. Rod of Jesseis found in Isaiah 11:1 in the King James Version where God promises to send a king to rule. Dayspringmeans sunrise and probably refers to Jesus as the great coming light, which is mentioned in Isaiah 60:1, 19. Key of Davidcomes from Isaiah 22:22 where the Lord says he will lay the Key of David on Eliakim who is a type of Christ. In 22:22 God says he will lay the keys on Eliakim’s shoulder, which points back to Isaiah 9:6 where it is said that the government will be upon Jesus’ shoulder. The main point of the song is that the coming of Christ brings gladness and joy as all our enemies are put to flight. Psalm 63 is a beautiful meditation by King David on his longing for God. If you look in your Bible you will see that David wrote this psalm when he was in the wilderness of Judah fleeing from King Saul. Two verses sum up David’s love for God and God’s love for David. First, verse 1 declares that apart from God David will die. He will go hungry. He will go thirsty. His flesh will waste away. Second, in verse 3 he says that the lovingkindness of God is better than life to him. The word in Hebrew is “chesed” or God’s covenant faithfulness or mercy. God’s love for David is better than breath. He would rather die than be cut off from God’s love. How impoverished our hymn singing would be without Charles Wesley! Wesley begins this great hymn with praise and then, as usual, fills it with wonderful images of God’s kindness to us in Christ. My favorite line in the song, and one of the most theologically rich, is the first phrase in verse 4, “He breaks the power of cancelled sin.” Here, in one short phrase, Wesley speaks of both sanctification (breaking sin’s power) and justification (sin being cancelled). He reminds us that Jesus forgives, but by His Spirit, he also gives us power to overcome sin. Wesley also gives us a great picture of salvation when he says that Jesus “speaks and listening to His voice new life the dead receive” (verse 5). First, Wesley understands that we are dead and need to be raised. We don’t need more education. We need resurrection. Second, he understands that Jesus’ voice is what raises us. Wesley probably has John 10:3 and 16 in view as well as the raising of Lazarus from the dead in John 11:38-44. Finally, Wesley began his hymn wishing for a thousand tongues to praise God. He ends the hymn with a call to all the redeemed to employ their tongues in praise to God (verse 6). I encourage you to practice these songs as a family or listen to them online as you prepare to enter God’s house. What about instruments and choirs? The seminary I attended did not allow instruments in worship. There is a long history in the Church of not allowing instruments. The argument against instruments is long and rather complicated and not entirely devoid of merit. However, God puts his stamp of approval on instruments in the Psalms. 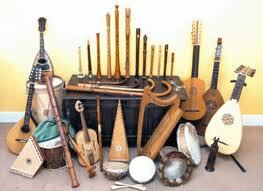 There we find various instruments played. (See Psalm 150) There is no biblical reason to exclude them. If you would like to know more about this particular issue you can talk to me. I would add that instruments should support congregational singing, not overwhelm it. Musical instruments should be added to the people’s voices, but the voices should be central. We hope to continue to add more acapella singing so that we can hear our own voices. Playing of instruments during worship should never become a performance. This can happen with worship bands who look conspicuously like a collection of really lame pop stars. Or with Mrs. So and So at the piano who thinks it is her job to show the world how great she is. The instruments play a supporting role. The congregation and her voice are to take center stage. This is why we do not do solos. Everything I said about instruments applies to choirs as well. They are biblical. Choirs are not sinful. But they need to be used to support congregational worship. A choir concert is not wrong either. But Sunday morning is not for concerts. If we had a choir I would put it in the back or side during worship. That way it could support the congregation in her singing. A choir can also be used to introduce the congregation to new songs. How Then Shall We Sing? 1. Our songs must be doctrinally (and musically) sound because they are performed before the face of our God and King. Since God is the primary audience we must please him by only offering what is true, righteous, and beautiful. This means our songs must be carefully rooted in God’s Word. 2. Our songs must be doctrinally sound because we are learning theology through them. Songs are catechisms that teach us truth. If we are sloppy with the content of our songs we will find our heads filled with lies or fuzzy half-truths about God. Music and song are powerful teachers. Our songs must teach the truth about God, His Son, the Spirit, the Church, sin, forgiveness, holiness, and creation. Song plays a crucial role in passing down the faith from one generation to the next. 3. This also means it would be great to have a music pastor. This man would teach us through the songs he writes and the songs he teaches us from other men. He would be theologically trained so he could discern the wheat from the chaff concerning content. He would be trained as a pastor so he would know how to shepherd the flock of God. But he would also be musically trained so he could discern appropriate music. 4. 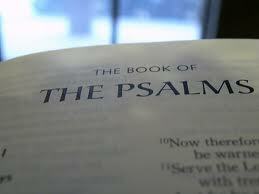 We should sing the Psalms and the other songs in Scripture. We are still woefully inadequate in singing Scripture. We sing more psalms than most contemporary churches, but our fathers in the faith would consider us infants in singing Scripture. Wouldn’t it be great to sing Mary’s Magnificat (Luke 1:46-55) at Christmas time? Or to sing Isaiah 26 or 12? Exodus 15 would be a wonderful song for Ascension Sunday as we celebrate Christ’s triumph over sin, death, and Satan. We should always be searching for more Scripture set to music. 5. Our hymns should be saturated with Scripture. The best hymns are the ones that are built on biblical themes and/or language. We do not have to sing only Scripture, but those songs that do not come directly from the Bible should still be biblical in content. 6. Our singing on Sunday should be vigorous. 7. We must learn to sing more outside of worship. We should sing at the table. We should sing during our chores. We should sing when we are grieved. Singing should not be chained to Sunday morning worship. Let it break free. Use song in your life throughout the week. 8. Each church, including Christ Church, will have its core “sound.” We must work with the songs, instruments, and musicians that we have. 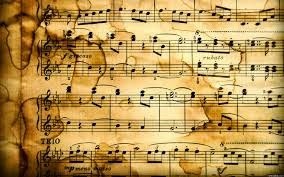 However, as much as possible within our “sound,” our songs should consist of varying themes, lengths, instruments, and tunes. We cannot do everything nor should we try. But we should still be varied within our own abilities and resources. Here is the order of songs in our worship service with the rational behind each set of songs. Entrance Hymn: This is the first song we sing after the prayer of praise. Here we want a lively, vigorous song, often a psalm. This song should be characterized by praise and thanksgiving for who God is and/or our great privilege in coming to His house. Some songs that we put in this slot are Psalm 24, Psalm 100, Psalm 122, Crown Him Many Crowns, and O Worship the King. Worship Set: The worship set is the two songs we sing after the Scripture reading. Almost any song fits this middle section. Usually, we do a slower song first and then a faster song second. If we are learning a new song, it will first show up in this section of the service. Communion:We sing during communion. There are numerous reasons why we do this, which I will address in a future letter devoted entirely to the Lord’s Supper. I try to include at least one Psalm and one song that celebrates the work of Christ. Both of these songs are usually lively as the Supper is a foretaste of our final feast with Christ. 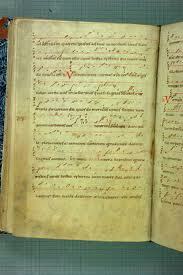 Doxology, Gloria Patri, and Creed: In the service we have two short songs and we also sing the Apostles’ Creed. First, following the Lord’s Prayer we have The Doxology proper. This is sung while the tithes and offerings are being brought up front. Then we end the service with the Gloria Patri. The model for these short doxologies is found in Revelation. As you read Revelation you will see that as God works his people frequently burst forth in praise. As God works during our service we burst forth in praise as well. It is worth noting that the Doxology is sung to each other, not so much to God. Recently, we have added the Apostles’ Creed. All of these songs are designed to teach us the great truths of God’s Word and to cement those truths in our minds. They are a musical catechism, where we and our children are taught the central truths of the Christian faith. This the second post on songs in worship. The first can be found here. The major tool God has given us to cultivate music that honors him is the songs in the Bible, including the Psalms. The Lord saw fit to give us one hundred and fifty psalms along with numerous other songs in the Scriptures, such as Exodus 15, I Samuel 2, Isaiah 12, 26, Luke 1:46-55 and the songs in Revelation. 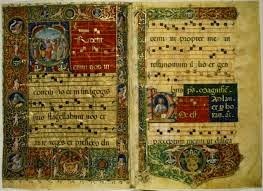 The Lord did not intend for us to sing only these songs, but He did intend for us to learn these songs and use them as the foundation for newer hymns. Without making the songs of Scripture a priority, our worship is guaranteed to be impotent. It is odd that the evangelical church says they love the Bible, but most refuse to sing it. One of great tragedies of the modern church is that she has left the Bible as the first source of her songs. As we learn the songs of Scripture we will reap several benefits. First, we will sing things we have never sung before. There are not many contemporary songs that say things like, “You have broken the teeth of the ungodly.” (Psalm 3:7) Or, “He shall have dominion from sea to sea.” (Psalm 72:8) Or, “They have shed the blood of saints and prophets and You have given them blood to drink. For it is their just due.” (Revelation 16:6). Often our language is influenced by movies, pop culture, or our friends. If we want our language to be shaped by Scripture then a good place to begin is the songs of Scripture. Second, as we sing these songs we will be reminded that we have enemies and are engaged in a battle which only ends with Christ’s second coming. 137 out of 150 Psalms either explicitly or implicitly refer to enemies. Most of the songs in the New Testament have a similar theme. Look at Mary and Zacharias’ songs in Luke and the songs throughout Revelation. These are fight songs, songs of an army going out into the world to wage warfare and conquer for (and with) Christ. Could it be that the Church is losing the battle because she does not even know she is in one? Singing Scripture will help rid us of this amnesia. Third, as we sing the songs of Zion we will find a great amount of variety. It is odd how many hymns and choruses sound the same both in tone and words. Scripture has similar themes, but these themes are expressed in an assortment of ways. There are short songs. (Psalm 117 and portions of Revelation) There are long songs. (Psalm 18 and 119) There are songs of grief and pain. (Psalm 3 and 137) There are songs of great joy and gladness (Isaiah 26 and Mary’s Song in Luke 1) There are songs about God’s great majesty. (Exodus 15 and Psalm 111) There are songs about how men are supposed to live. (Psalm 1, 112, 128) There are songs with a repeating chorus. (Psalm 136) There are songs by Moses, Solomon, David, Hannah, Mary, Asaph, Isaiah, Zacharias and the angels. We could go on and on. This means the songs in worship should have a variety of lengths, tones, and themes. Scriptures songs rightly done should never be boring.This does not mean they will all be fast or loud or that they will contemporary. It just means that there will be variety. Fourth, the songs of the Bible give us words for all situations. And not just any words. We will have God’s word in our hearts and in our mouths. If we are sad let us sing Psalm 137. If we are joyful let us sing Psalm 150. If we are about to do our quiet times, let us sing a section of Psalm 119. If we are walking in nature let us sing Psalm 8 or 19. If we are considering Christ’s work on the cross let us sing Psalm 16 or 22. If we are rejoicing at the downfall of our enemies let us sing Exodus 15 or Psalm 7 or Revelation 11:17-18. If we have sinned let us sing Psalm 6 or 51. When we do this we are not just singing, but we are singing God’s Word. And His Word is sharper than any two edged sword, mighty to save, comforting for our souls, and strong to tear down the fortresses of Satan. Finally, as we sing the songs of Scripture we will find a truly majestic and holy God who is also our Father. One of the perpetual problems in the Christian faith, a problem expressed in our songs, is that Christians tend to see God as either very far off or very near. The first group views God as unknowable. He becomes so holy that we can barely know him. The second group makes God in our image. He becomes too knowable, like a buddy on our back porch. As we sing Scripture we find an excellent balance of both of these themes. First, God is certainly holy. Isaiah 6 and Revelation 4:8 have the angels singing “Holy, Holy, Holy.” God is not our buddy who comes along to have chats with us as we meet with Him in prayer. He is a man of war. (Exodus 15) But God is also our Shepherd (Psalm 23), who remembers our frame, (Psalm 103:14) and is near to the broken hearted. (Psalm 34:18) As we learn the Psalms and other Scripture songs we get a balanced picture of God’s character, which will keep us from sinking into either error. What Should Worship Songs Do? Singing is an essential part of the Christian faith. Song is not just in the Bible, but it is woven throughout the Scriptures. Adam greets his newly formed wife with poetry (Genesis 2:23-24) and the Scripture’s final book is filled with songs to the King of Kings (Revelation 4:8, 11, 5:9-10, 12, 13, 7:12, etc.). In between we have the songs of Moses (Exodus 15, Deuteronomy 32), Hannah’s Song (I Samuel 12), the Song of the Bow (II Samuel 1) the Psalms and Mary’s Song (Luke 1:46-55). Our Lord intended for singing to be part of our praise to Him and our sanctification of one another (Ephesians 5:18-20, Colossians 3:16-17). This is why at Christ Church we try to take our singing seriously. This is the first of several blog posts on songs in worship. In this one I will explain what role the songs play in worship. Throughout these posts, I will focus mainly on the content of the songs and only slightly on the music itself. Perhaps in the future I will do a paper on what music is appropriate for church. Scripturally, there are three primary purposes for songs in worship. First, songs are for praise. We are the redeemed of the Lord. We are the ones who have been bought with the shed blood of Christ. Our lives should be characterized by praise and thanksgiving. Here are some songs we sing that focus on praise: Psalm 45, Psalm 122, Psalm 148, Holy, Holy, Holy, and Christ the Lord is Risen Today. Second, songs are for prayer and supplication. Many songs are prayers set to music. We ask the Lord to help us, to remember us, to forgive us, and to deliver us. In our songs we ask God to draw near to us and incline his ear to us. Many of the Psalms fit into this category, especially psalms of lament. Here are some prayers we sing: Psalm 5, Psalm 6, Psalm 119, O God of Earth and Altar, and Be Thou My Vision. Finally, songs are for teaching. The two reasons above are vertical. They are about our relationship to God. This third reason is horizontal. Songs are one of the ways we teach one another (Colossians 3:16). Of course, all songs teach us. But some songs are actually directed to one another. For example Psalm 1 is about the man who loves God’s law. It is not praise, nor prayer, but doctrine and teaching. In Psalm 100 we do not address God, but we address each other and indeed the whole earth, calling upon them to praise their Maker. Many of our Christmas songs are also directed to each other. (See, O Come All Ye Faithful and Good Christian Men Rejoice.) Finally, we have songs like The Son of God Goes Forth to War and O Worship the King, which are more horizontal in nature. Songs in worship have these three primary purposes, praise, prayer, and teaching. Next time you are in worship look at the songs we sing and ask which category they fall into.